Erica and her girlfriend, Abby, are invited to spend the summer at her aunt’s house on Sandy Beach Island in New Jersey. She is unaware that just days before she arrives at her aunt’s house an extraordinary robbery occurs at a New York museum that involves the theft of a priceless exhibition on display. To make matters worse the display was on loan from another country that was not on the friendliest terms with the United States. Once again, Erica winds up in the middle of a mystery that places all of them in grave danger. Erica Stafford has just entered the sixth grade in a Vermont school after the family moved there from New Jersey just two years earlier. She leaves behind her old friends and is forced to make new ones in her new home. Fortunately she meets Abigail Adrianna Post or Abby, who becomes her very best friend. 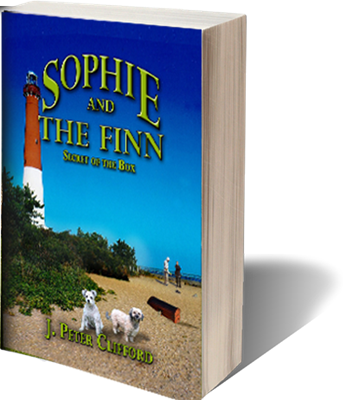 Abby’s dog, Sandy, joins Sophie and The Finn and they form a bond that leads them on a number of adventures together. It’s summer break and Erica heads to the Jersey Shore to stay with her aunt for two weeks. She takes along her best friend, Abby, who also has a penchant for being a daredevil and taking risks. Upon their arrival, the town is abuzz with news of a gang of jewel thieves that have broken into a museum in New York. The two girls are quickly taken with the story and begin piecing snippets of information together. They soon discover that some of the gang members may be close to Erica’s aunt’s home. When they find a mysterious locked box in the sand, they realize that it must be a missing artifact from the New York robbery. They enlist the help of Jake, a good-­‐looking eighth grade boy, to help them solve the mystery and lead the FBI to the thieves. Clifford’s characters are nicely developed and the mystery unfolds in a well-­‐paced manner. Suspense is built into the story through a clever narrative device: the author switches between the point of view of the children and that of the thieves. Suspenseful and gripping moments for the reader occur when the children unknowingly come mere seconds away from encountering the thieves and endangering their lives. 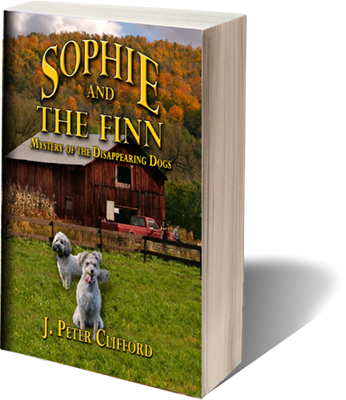 Sophie and The Finn: Secret of the Box is chock-­‐full of action and suspense. There are thieves hiding in a hotel room with guns, a map, a missing box with secret contents, FBI agents, and even a kidnapping. This is a dramatic and fast-­‐paced story for adventurous, 10-­‐13 year-­‐old readers that enjoy protagonists with determination.